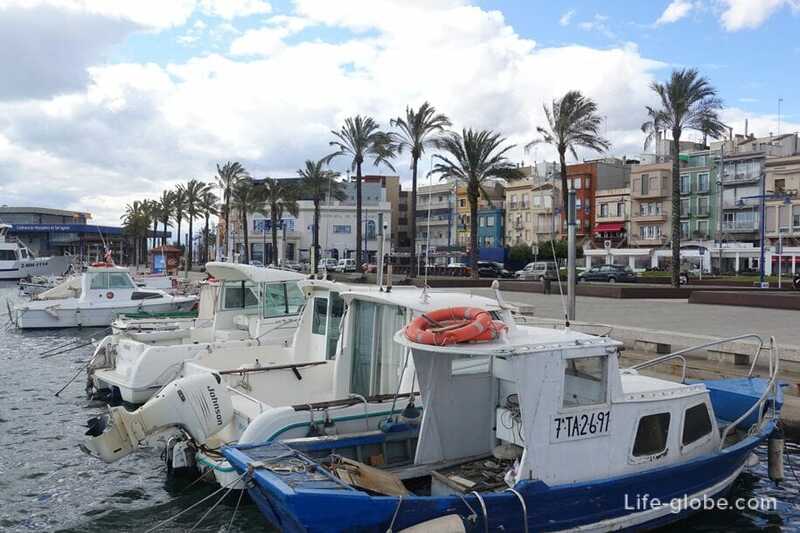 Maritime quarter Serrallo or fishing port, also known as the fishing quarter of Tarragona (El Serrallo - Port pesquer) is a small district (formerly the fisherman's district), located in the Western part of the city, where is adjacent to the coast and the seaport of Tarragona. In the mid-nineteenth century a few huts of wood located on the beach, served as a storage and shelters the fishermen who lived mainly in the upper part of the city. 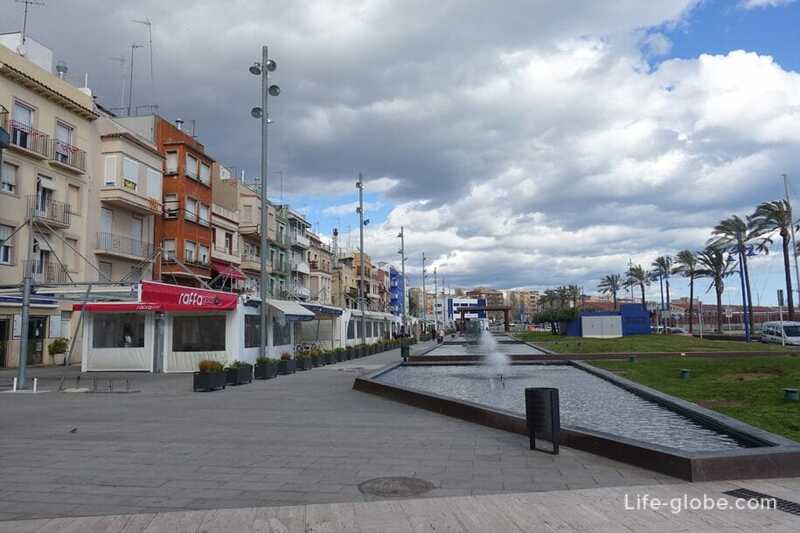 The district was born as a result of implementation of the railway line and the construction and expansion of the port of Tarragona. 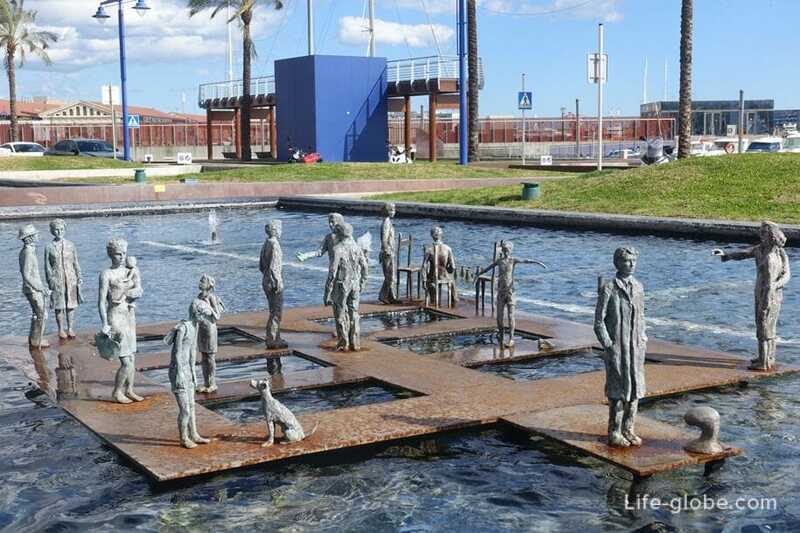 These changes forced the fishermen to move their shacks to the West, where they occupied an open space between the pier and the mouth of the river Francolí. Since 1868, the fishermen began to build houses and work on these lands, and then thoroughly settled in the area. Currently, a quarter of EL Serrallo is an area consisting of several streets, which is perhaps one of the most picturesque in Tarragona. 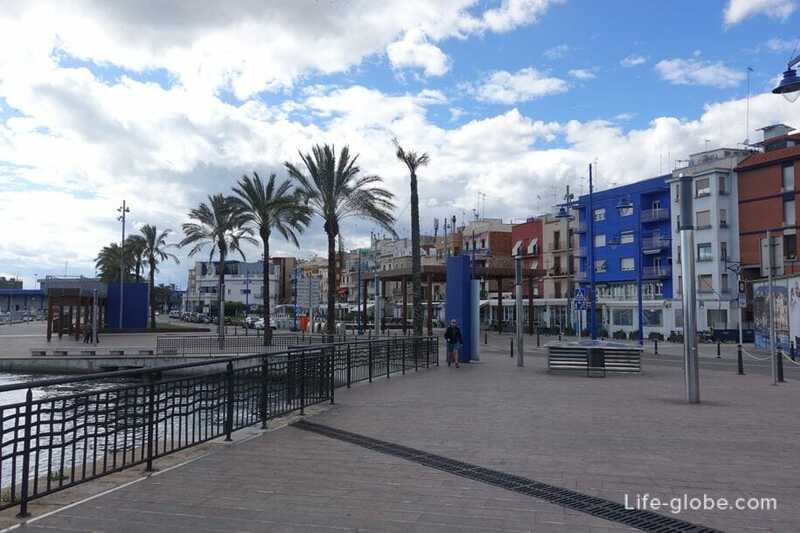 Center walking and leisure marine of the quarter is pier Pescador, or fisherman's pier (Moll de Pescadors), where you can see small boats and fishermen catarci, and air is continuously smell of fish and seafood. 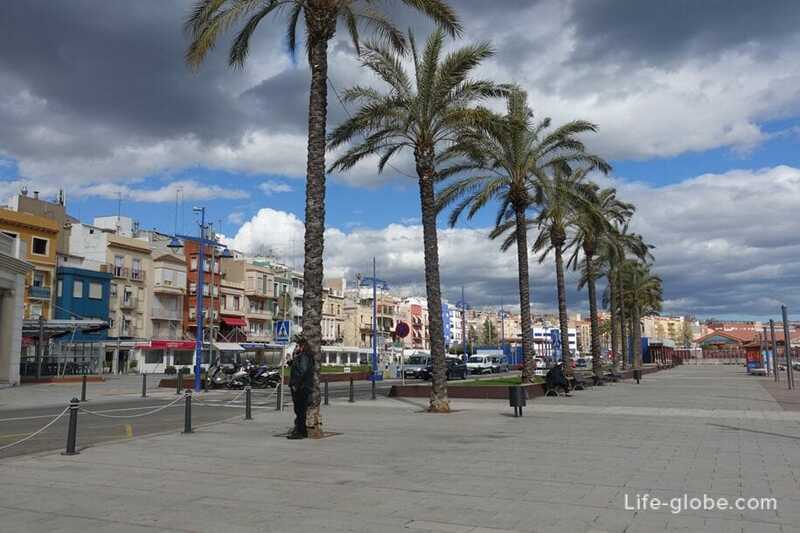 Opposite fisherman's Wharf - a slender palm tree, multi-colored low houses, a large fountain Serrallo with several sculptural groups (Fonts del Serrallo) and, of course, plenty of cafes and restaurants, most of which specializiruetsya a cook. In this place you can enjoy fresh fish and seafood in some restaurants has a menu-turistik. Say: "Here the most fresh and delicious fish and seafood in the city." Pride and main attraction of the quarter, Serrallo - old Church of Sant Pere, also known as the Church of SV. Peter Apostle Tarragona (Església de Sant Pere Apòstol de Tarragona). The Church is dedicated to St. Peter - patron of fishermen. 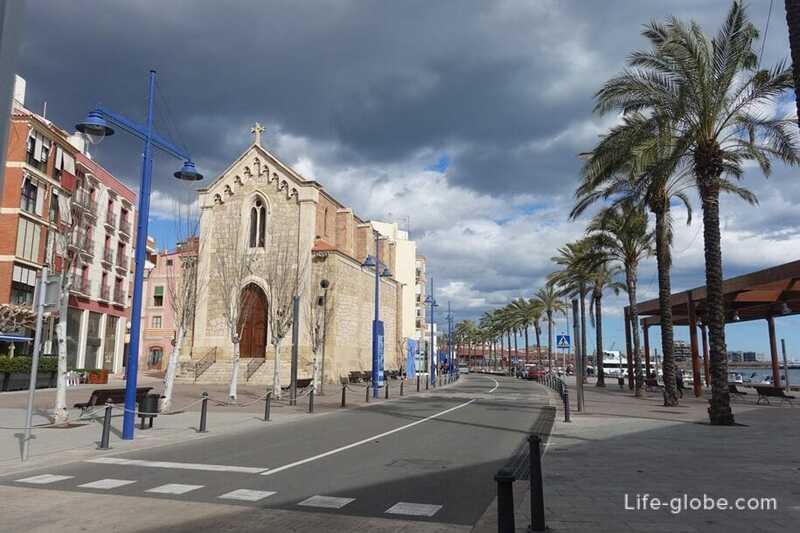 This Church is the main Church of the fishing district of Tarragona. Church history is closely connected with the Constitution of the first city nucleus and its basic needs. Bishop Bonet has created a series of activities aimed at assisting the most vulnerable segments of the population including fishermen. In April, 1878 published a tender for the construction of schools, churches and a few other social buildings. Bishop Bonet died in 1878 and left the money on the completion of the construction of the Church. The Church was opened in July 1879, as planned, sort of, for lack of funds. The official opening of the Church took place later - in 1880. 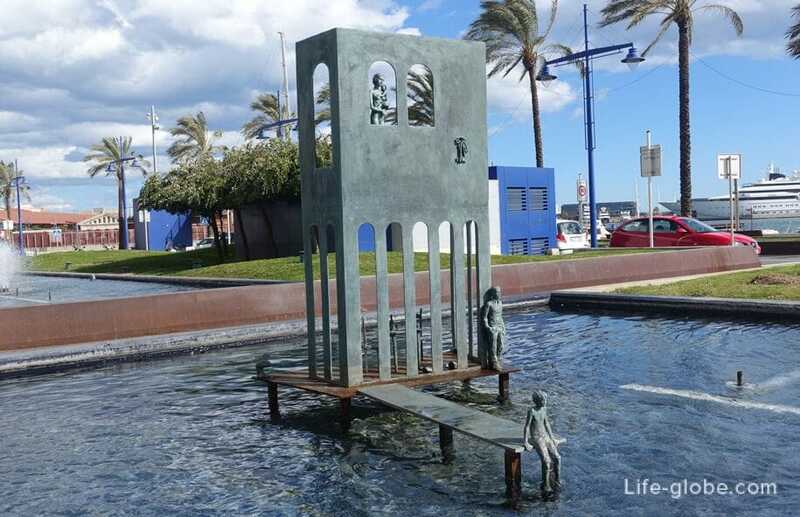 At the main entrance to the Church lies a small area Bonet (plaça Bonet), the center is the monument of a Family of fishermen (Monument a la Familia Pescadora). The monument restaurant and children's Playground. If desired, this cozy and colourful quarter of Tarragona - Serrallo, you can book apartment - Apartment Globus. The apartment consists of 2 bedrooms, 1 bathroom with free toiletries and a Seating area. The kitchen includes a dishwasher. 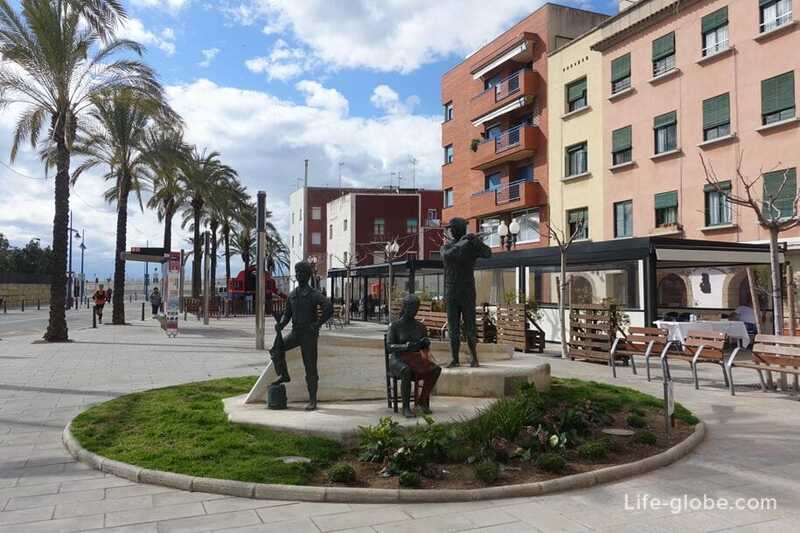 All accommodation in Tarragona, you can view and book here.